Great year! In 2015, Dulcy Productions, Inc. is moving forward. Recently, we had the delightful time of filming at different Red Carpet Events. 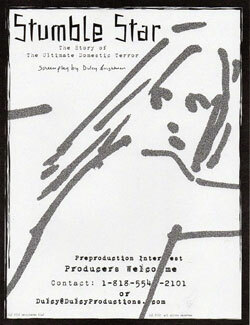 The invitations were by the producers of film and television projects. There were many calls, and call-backs with promotional or public relations people before even speaking or receiving invitations from the actual producers of their projects. One call usually means another one is needed. We always begin never knowing what will happen with limited time when recording our video blogs. Hopefully, you will enjoy our interesting scenes or interviews of the extraordinary people we’ve met in 2015, and before, everywhere here in Hollywood, California. Clearly, for Dulcy Productions, Inc., our videos require much attention before being presented to our audience. It is most satisfying when our video blogs are finally completed. We always think of what makes the most sense to present to our viewers. This is no small task. For anyone who is interested, we hope you will be entertained and amused by our website or YouTube videos. Several different organizations were present at the City of Burbank Wild Wild West Parade on Saturday, April 25th, 2015; such as Girl Scout and Boy Scout Troops, community leaders, and star-studded personalities that helped this event shine on what was an overcast day. The Grand Marshalls of the Burbank Wild Wild West Parade were the “Reel Cowboys” which included their President, Robert Lanthier. Reel Cowboys is an organization whose members have devoted their total lives to the Entertainment Business, which includes, writers, artists, actors, producers, directors of Western Films and Television Series work. Julie Fox Ashley Pomilia, granddaughter of Roy Rogers and Dale Evans, honored the “Reel Cowboys“ by riding on their float. Julie was one of the invited celebrities who were positioned on each side of the “Reel Cowboys Float.“ Her husband Gino Polilia, was close by, photographing Julie and providing support. Gino walked (and ran) on the sidewalk as his wife was riding on the float. The specially designed “Reel Cowboys” banners were produced by Robert Lanthier (President of the Reel Cowboys) and Charles P. Scott (Reel Cowboys Member); they were printed by Paul Guidotti of Mouse Graphics. There were some spectacular performances by singers and musicians on the “Reel Cowboys” float which included, Erwin Jackson (singer & guitarist), who was Identifying members aboard the float for the attending Burbank crowds, Paul Boghossian, Dulcy Brightman (producer & artist), Johnny Crawford (actor), Jan Damiano (actress), Tom Davison (actor), Lee Diebold (stuntman), Sharon Evans (vaudeville performer), Steve Foki, Teri Gamson, Darby Hinton (actor), Robert Lanthier (actor & President of the Reel Cowboys), Bill Lashbrook, Greg & Suza Leon (musical performers), Angel Maker (singer), Katherin Kovin-Pacino (actress), Nikki Pelley (stuntwoman, actress, singer, & costume designer), Julie Fox Ashley Pomilia (granddaughter of Roy Rogers & Dale Evans), Rick Rogers (vaudeville performer), Shane Schaerer (musician), Mike Shanto (actor), Bill Sherer, Brent & Janet Slutsky, Maria Washington (actress, writer, & voiceovers), and many others sat side by side on the benches of the float. The Wild Wild West Burbank Parade was organized and coordinated by Cynde Bost, who went out of her way to sacrifice many precious hours away from her job as a Realtor at Dilbeck Real Estate in preparation for the event. Many of Burbank’s notable business leaders contributed to the parade along with walking the street route from Alameda and Myers Streets, and around George Izay Park near West Olive Street, Burbank, California. The parade started at about 11:30am ended at 2:00pm. Many children and their families sat on the curb-sides of the parade path to enjoy the waves and shouts of joy from float participants. There were an abundance of colorful American Flags, which were happily waved by children. Some of the crowds enjoyed picnic food and drink to keep parents and children well fed. The parade ended with some antique cars that motored slowly up the streets of Burbank, much to the delight of all. Stay tuned for a link to our video of the parade. It’s still the “Wild West”! If you think Los Angeles is going to ever be a quiet city, you can, as New Yorker’s say, “Forget About it!” More than ever, trying to circumvent traffic on the Freeways has become nearly impossible. From the San Fernando Valley, in towns with such names as North Hollywood, Reseda, Encino, Sherman Oaks, Northridge, and Woodland Hills, down to Hollywood, you’re lucky to move any faster than fifteen miles per hour. Gosh, it’s just like Manhattan traffic during the work week! It’s not just the traffic that’s the thing that can test a person’s soul, it’s the summer heat, it’s the dust all year long, the Santa Ana Winds, the ’Marine Layer’ (dense fog), and some raging gangs of Los Angeles. The Los Angeles Police Department (affectionately known as LAPD) warns people not to step into unknown neighborhoods. It is not always conducive to take the time to enjoy the entertainment capital of the world. So, I wasn’t at all surprised when it took me all of two hours or more to meet friends for dinner in the heart of downtown Los Angeles. I say “downtown,” but it’s not always so recognizable as compared to other big cities; it’s all that land. Also, what one person calls “downtown” is not always what another will tell you. Talk about a confusing city! So when I finally arrived in Hollywood to meet my friends, I found that young adults are still coming together much in the fashion of their parents. It is surprising to see that what they think is outrageous, is charmingly funny to their predecessors. Yes, the twenties crowd is bashful, and you’ll catch a glimpse of this in a street scene that yours truly filmed, and is now on this website in the “Video Blogs” section under the title of “El Coyote Restaurant in Hollywood”, also on YouTube. I’m not just in Hollywood for the heck of it, I was there to meet someone who is with Variety; I was also experimenting with filming once again. Most of the Video Blogs are awful. It’s pretty hard to hold a camera, a cell phone, and at the same time talking while observing what’s going on around you. Not to mention, waiting for my ride home. As you can tell I’ve got a lot more to learn. What an eventful year 2012 has been. Dulcy Productions wants everyone to be inspired to set goals, achieve them, and then set new ones! Yes, this is the beginning of "Stumble Star", the Screenplay; so please go to the new website to read all about it! We're excited as this project moves into full gear beginning in 2013. There have been professional reviews in 2012 by some notable film companies. This has been most rewarding as one after another has requested reading "Stumble Star". Then, in 2013, more promotions will be set in place, not only as Dulcy continues to paint and write. Writing is words in pictures. Granted, this is a new skill for Dulcy, but she's never one to back down from a challenge. You will notice that the Dulcy Productions is revamping and upgrading the website. It is always a work in progress so that you can enjoy it. We hope that you have a wonderful Holiday Season with many blessings. There are many more steps that can be taken towards quality in life. "Stumble Star" exposes the unseen and dubious choices that may or may not be known by us throughout our lives. You will notice that Dulcy Productions is on the move. Please check out the Photography Section as there are more views of Long Island, New York, as well as New York City. 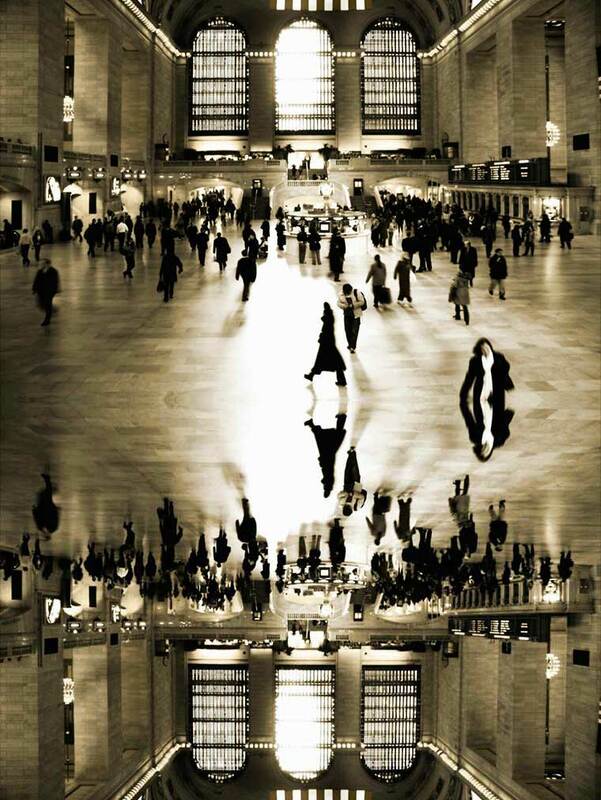 Thanks for the many nice New Yorkers that helped Dulcy on her visit in 2012. It was a real treat attempting broken French by Dulcy to French Tourists on Eighth Avenue, near the Theater District. They asked me if I knew where the new World Trade Center is. Yes, Dulcy, has a photo of the not yet completed structure. Check it out in the Dulcy Productions Photography Section. Have a Happy New Year 2013! Please feel free to give us your comments, (hopefully positive). You can do so by sending an email to Dulcy@DulcyProductions.com. Thanks! 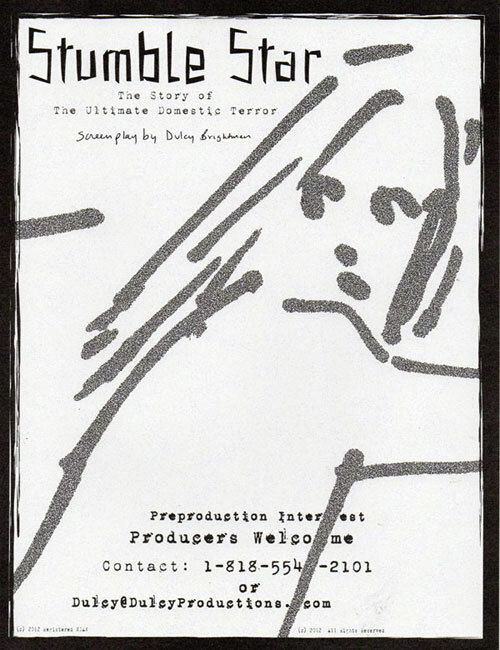 "Stumble Star" highlights the fact that nothing has been written about the strange experiments done by private doctors, drug companies, and the government, on women and children during the early 1960's. Go to the Stumble Star website now! Dulcy Brightman and Robert Osborne Yes, sir …eee, “I’m going to marry Roy Rogers when I grow up!” is what I said many years ago, to my childhood friend, Nancy Hall. I totally believed that Mr. Rogers was the best cowboy I’d ever seen, ever! I wasn’t wrong. There wasn’t anyone more handsome in my opinion than Roy Rogers! Never mind that I also loved his beautiful wife, Dale Evans, too! I’d say next to Roy Rogers, I loved Clayton Moore, a.k.a. “The Lone Ranger”! However, Roy Rogers will forever be #1 in my heart. So it was with great pleasure that Turner Classic Movies included a Roy Rogers film at the Chinese Multiplex House 4. Here, I must take the time to tell you that there is something so enduring about America’s Classic Movies. Thanks to TCM, and the amazingly knowledgeable, Mr. Robert Osborne, who is helping to breathe new life into the historical value of film; there might have never been such an event as his TCM/Classic Film Festival in Hollywood, California, April 28-May 2011. We need more people willing to spearhead the value of these treasures imprinted not only on film strips, but imprinted in our minds. It is so wonderful to embrace our heritage of the 20th Century gradually blending into 21st Century films that have reflected the lives of times past, and present that are being replayed in our daily lives of loves, business, family, etc. Indeed, all are irreplaceable moving photographs. My fascination for Western Movies includes my experience with The Lone Ranger, and his horse, Silver, when I was a youngster. My mother, from a very historical American family, took me to an indoor rodeo event that had been widely publicized in local Virginia, Maryland, and Washington, D.C. newspapers, back in the 1950‘s. The new sensation, “The Lone Ranger” was the main promotional feature of that rodeo. When, Clayton Moore, rode Silver, a huge white horse, by our, front row booth, my mother asked Mr. Moore if I could ride on Silver? Mother explained to Mr. Moore that I loved, Silver! That’s not to say that Roy Rogers fabulous palomino, Trigger, was second best. It was just that Silver was right in front of me! By the way, Trigger is stuffed and is in The Gene Autry Museum, Los Angeles, California. If not for Mr. Autry there wouldn’t have been a Roy Rogers, but I didn’t know that when I was a child, and it is another story. Sure enough, Tonto, a.k.a., Jay Silverheels, was also on horseback, smiling and looking on, as Mr. Moore, gently lifted me up out of the booth, and placed me on the gorgeous and elaborate saddle, hugging Silver. I’d died, and gone to heaven! I love cowboys! Yes, there was elaborately designed, silver bridle. Even the experience with, The Lone Ranger, and Silver, was not enough to deter my passion for Roy Rogers, and the great symbol of the American West! TCM included his 1938 “Under Western Stars” (Republic Films / one of 80 Mr. Rogers made). This is the only Roger’s movie added to the National Film Registry, and was screened on April 28, 2011, and hosted by Ms. Cheryl Rogers-Barnett. Now, so many years later, I’ve renewed my old love of Roy Rogers. Will Ms. Cheryl Rogers-Barnett, forgive me? Turner Classic Movies has given me more than I expected! 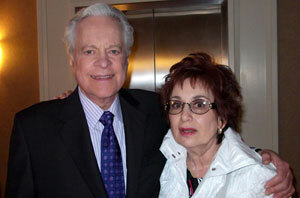 Now, years later, here I am in Los Angeles, Hollywood, meeting the hero of film, Mr. Robert Osborne. Mr. Osborne is a tall, magnificent, and generous man, who delightfully directed one of his TCM staff members to photograph me not once, but also a second time. He is, after all the star of TCM. It’s almost like I’d been kissed on the very day Prince William kissed his new Princess Catherine twice on the balcony of Buckingham Palace. The crowds attending the TCM Film Festival were twice as large this year than in in 2010. Is there something about two‘s going on here? In fact, there were many more people wanting to attend the film screenings than was expected by TCM Film Festival Organizers. This was certainly the case on, Friday, 29th April 2011, at so many of the theaters along Hollywood Boulevard. Attendees were able, for example to meet and purchase Leslie Caron’s “Thank Heaven”, and also get her autograph. Can you imagine actually meeting her? Others witnessed, Peter O’Toole, being interviewed by Mr. Robert Osborne, and were anxious to tell me all about it. They loved the experience of being present to see the actual filming. Can you blame them? Leonard Maltin, walked by me greeting TCM participants waiting anxiously to see 1936’s “Dodsworth on 29th April‘s screening. The night was magical for everyone as they got to meet, and make new friends, some waiting even though they were advised that it was doubtful that there would be available seating. TCM Coordinators scurried to make the best of it. There was a lot of explaining to do. Atlanta’s TCM headquarters sent many of its production assistants to help with the overall functioning of their venue. Not every Pass Holding Attendee could be accommodated due to sold out ticket sales! Next year there is room to expand TCM’s Film Festival, because, as it happens, this is a very public event. People are literally eating up this incredibly delightful feast of films. It is this writer’s opinion that Turner Classic Movies has not yet grasped the reality that there are so many tourists coming from all over America and the world that are looking to become involved in what Hollywood has come to mean. It means inclusion, and not discrimination against people out of the range of high priced passes. The tourist, especially, along Hollywood Boulevard, are looking for that truly, unique and American experience they have shared for so many years. Let’s hope Turner Classic Movies organizers will expand on a good thing? 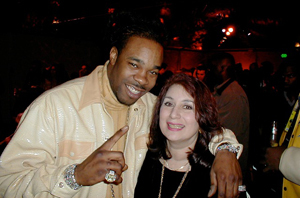 Dulcy Brightman and Busta Rhymes Once upon a time, the artist, Dulcy, was invited by her talented musical composer son, to view a special filming of MTV's Icon/TV Series on one of the many sound-stages of Sony/Columbia Pictures, by the talented Ms. Janet Jackson. Ms. Janet Jackson invited world famous musical stars in the early 2000's, to perform and be filmed at the Sony/Columbia Studios in Culver City, California for the Viacom/MTV's Icon Series. Ms. Janet Jackson insisted that those musical artists and band members, who were the talent for the show, invite their mothers to Sony/Columbia Studios Lot in Culver City, California. All the mothers of the musical artist were taken by chauffeured black limousine to the filming; in the afternoon of a typically warm California day, to the enormous complex of the Sony Studios Lot. 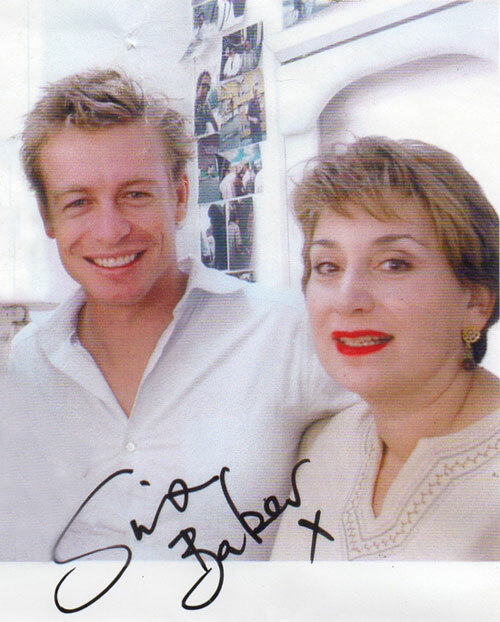 Since Dulcy has a son who is well-known Hard Rock Star, she was invited to the filming. After the filming, the artist, Dulcy attended a tented "After Party" on the Sony/Columbia Pictures Lot for the crew, VIP's, and invited guests. She met many musical artists, television interviewing personalities, producers, makeup artists, and style coordinators. This was a delightful experience for Dulcy. In the large beautifully decorated tent, Dulcy, with her son, she met many of the musical artists, television personalities, basketball stars, reporters, stylists, as well as film stars. These people, as guests of Ms. Jackson, were served an array of food and drinks from the studio's craft services. 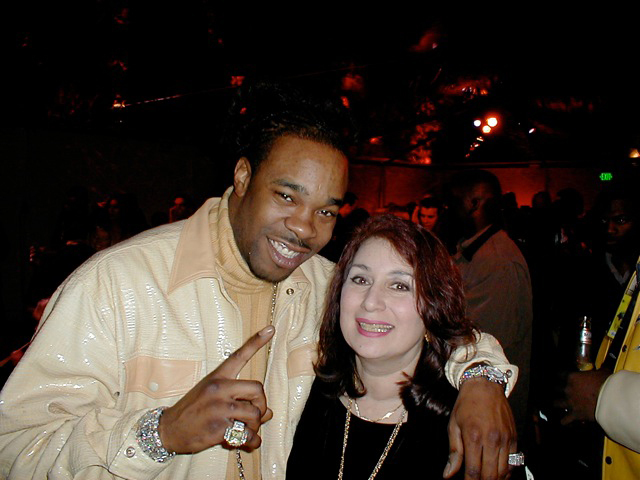 At the After-Party, Dulcy met Busta Rhymes, who was decked out in the biggest, boldest jewelry she'd ever seen along with a big smile on his face. Busta looked at Dulcy and her son together. Mr. Rhymes, the innovative artist of Hip-Hop, was laughing and joking with Dulcy's son when he suddenly decided he wanted to have a photo of himself with her! What a happy surprise! Her son watched as a professional photographer from Sony/Columbia Pictures positioned his camera for the photo pictured. Then world renowned, Busta Rhymes posed with Dulcy for this treasured moment.